Rita Srivastava a green thinker and advocate. She will be sharing GREEN tips and ideas for the month of March 2019. Today’s green thought is micro beads. We all love smooth glowing skin and have been led to believe that scrubs will help do that. Commercially produced scrubs – no matter what they profess to contain – almost always have micro beads – plastic solid man made beads with a diameter of 5 mm or less and mostly invisible to the naked human eye. A whole range of cosmetics contain micro beads for their exfoliating and abrasive properties. They are indestructible and a study has found the Great Lakes in North America (among other places) with very high levels of this pollutant which is killing and highly endangering aquatic life, which mistake the beads for food. Next time you see a skincare product that contains the word “scrub” or “exfoliating” – don’t buy it! Microbeads have been banned in the US since July 2017 (total ban) and some countries in Europe and Taiwan – but not elsewhere. So it is up to us to ban them from our lives. 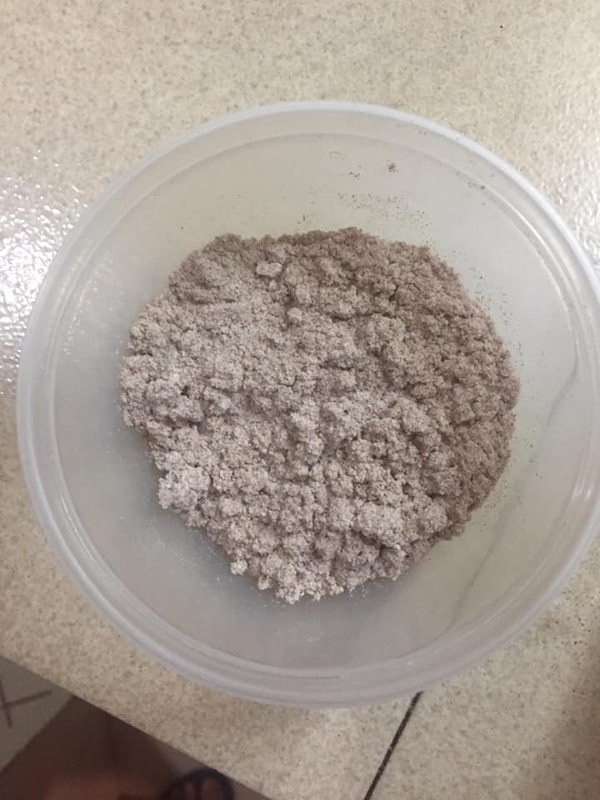 Here’s an easy home made scrub that is great for your skin. Today’s green thought is – what else? Plastic packets – the boon and bane of our modern lives! Can’t live with it and can’t live without it. But I think slowly our mindsets are changing and have to change. The evidence is too compelling. The plastic sea floating in the Pacific Ocean, the whale that has never seen land dying of plastic ingestion, the landfills made up of 80% plastic packets that take a thousand years to decompose – it goes on and on. We have to change our behavior. Look on Tokopedia for Telobag. 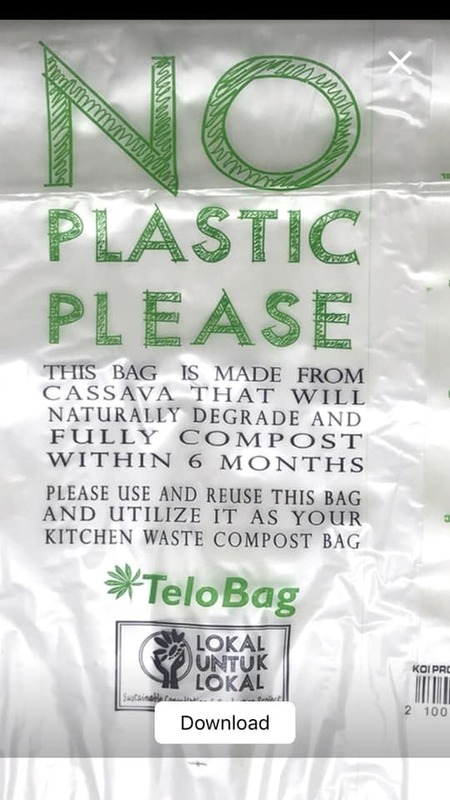 They are reusable packets that are made of cassava and degrade in 6 months after disposal. They are slightly more expensive than plastic – but if we’ve brought on the disease, surely we have to pay for the cure! Over the course of this month we’ll be talking and discussing more about plastic – it’s effects and its reduction / elimination….. we can’t talk green without talking plastic! Today’s green thought is plastic bottles – or rather, how to reduce plastic bottles in our lives – The shower gels, the shampoos, the moisturizers, body lotions, cooking oils – the list goes on and on. And the problem is – liquids aren’t as easy to bag yourself in your own carry bag. However, we can reduce plastic bottles if not stop using completely. I’ve stopped buying liquid soaps and shower gels. Only solid soaps for bathing and hand washing. There is a fabulous lady in jakarta who conducts soap making classes with a minimum of five persons. Happy to share her contact. 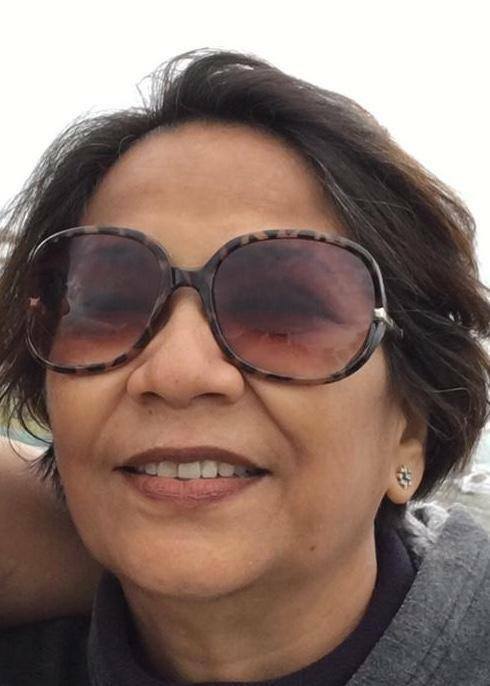 In india one can buy excellent soap shampoos – Vibha by kottakkal Arya vaidya sala comes to mind instantly – but since lush cosmetics aren’t available in jakarta – or are they still – I can’t think of a soap shampoo one can buy here – please let me know if you do have a name in mind thanks. What I can think of is glass bottles instead of plastic wherever possible. Today’s green thought is – a mini kitchen garden – in tiny pots on your kitchen window – even if you live in an apartment 😊 you reduce your kitchen waste – AND you have fresh herbs available daily! – and soon you will have fresh mint leaves ready for plucking for your chutney or salad. 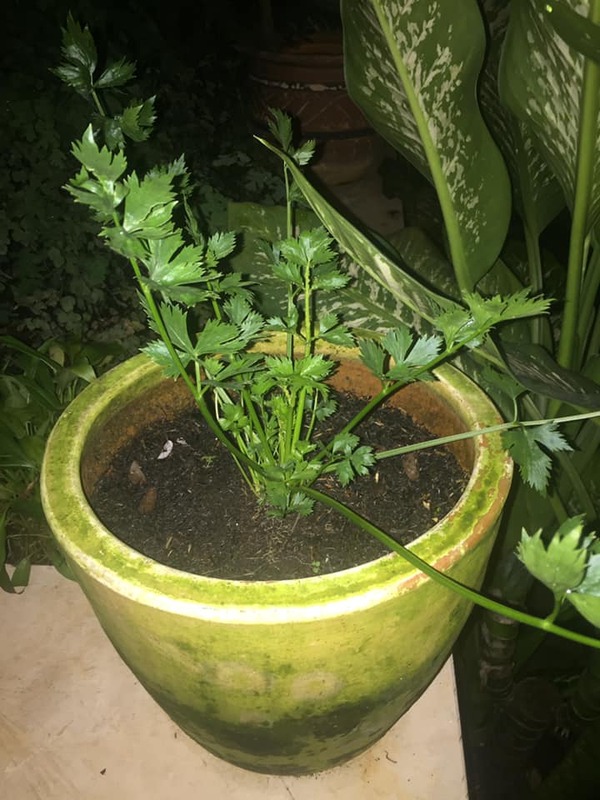 You can do the same with celery as well – whenever you buy it, just save a little bunch and plant it in a pot – soon your little bunch will grow roots and shoots and provide you with fresh celery. 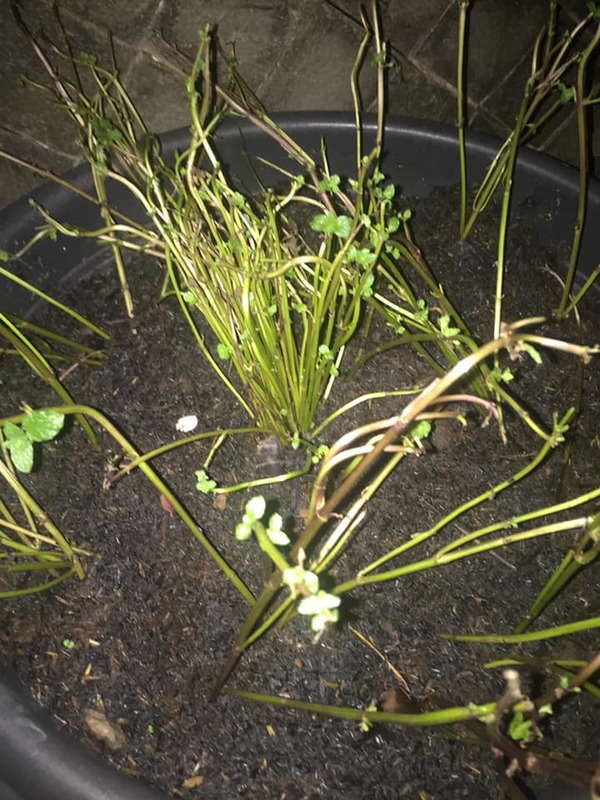 Sadly this trick doesn’t work with the one greens we use the most – dhania patta or green coriander – it’s very tough to grow and nurture – but if any of you have done it successfully at home, please do share the magic!! Today’s green thought is glass bottles. Wine whisky olive oil and many other liquids. Once they’re empty – rather than throwing them – paint them! If you’re a total beginner like me – get a box of acrylic paints and a bunch of brushes and old rags for cleanups – and you’re set! Of course I’ve seen used glass bottles painted by friends that look like miniature works of art – but that’s not everyone – and that’s fine. 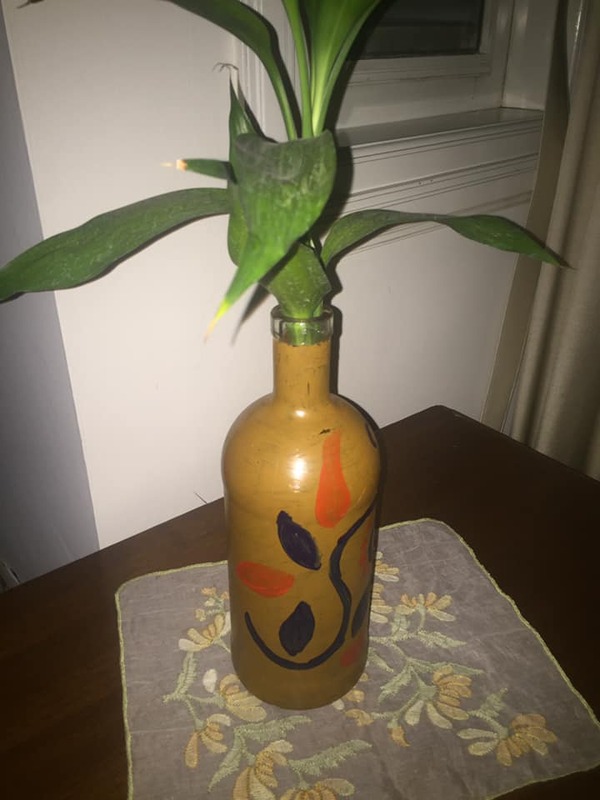 I have bottles painted to match the colors of each bedroom and they look lovely – amateurish no doubt, but fun to paint and very fulfilling – not to mention having them removed from your garbage! Today’s green thought is paper – miraculous marvelous paper. We all know it was in Egypt that papyrus from the reeds of the papyrus plant were pressed into sheets, dried. and then written on. This basic process is pretty much the same today – except for a range of other raw materials and of course the sheer scale of paper production today. According to FAO, approximately 3.5 BILLION to 7 BILLION trees are cut down every year globally – and the two biggest culprits are agriculture and logging. Logging as in wood being used for wood products and paper making. The use of paper has gone up 400% in the last 40 years. Just read that sentence one more time and you will realize that we are all personally culpable for deforestation. Reducing paper use is what we can actively aim for in our daily life. How? Toilet paper – we can reduce but not eliminate sadly. Table napkins – stop using paper napkins for their convenience and go back to fabric napkins for their beauty and reuseability. I have dinner napkins hand made by my mother which I didn’t want to use coz they’d get spoilt. No More. I use them all the time and throw them in the washing machine and they’re good to go one more time! Facial tissues – a new name for what we grew up calling “handkerchiefs”. It’s the single most eco friendly item of clothing we ever had. Use wash and reuse. If you don’t have your old handkerchiefs any more, buy some! They’re the most effective item you can use to actively reduce your paper usage. Newspapers magazines and books – go online. When most of these are available online today, why still opt for paper? Printing at home – we all know this one….. print something only if it’s really really necessary. Paper cups plates glasses – Just stop buying them. You’ll be surprised that you don’t miss them at all – we have enough glass and porcelain cutlery/crockery at home to never ever need paper ones!! And if you carry your own tumbler in your bag, then you’re good on the go as well! Paper stationery – Use, reuse, re-reuse and re-re-reuse!! 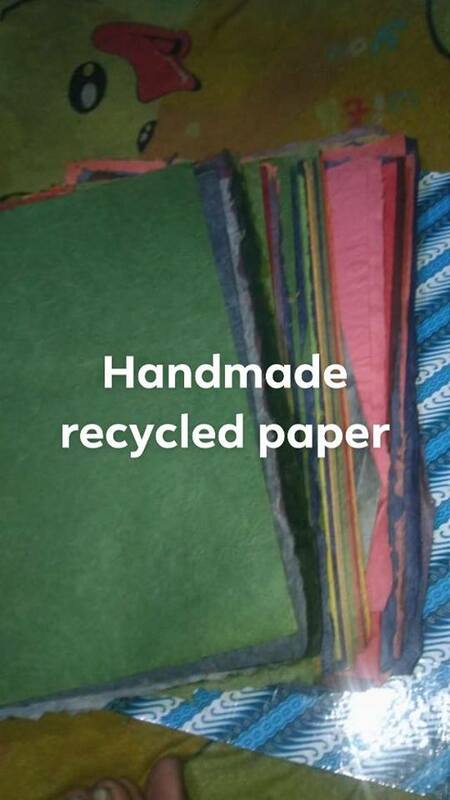 And at the end of it give me all your printer paper (used and reused of course) and I blend it with banana leaves and stems and similar organic waste – to make recycled handmade paper. Today’s green word is Mother – no, actually the evergreen word is mother. On the happy occasion of international women’s day – what better word today than mother? The first woman in our life – the most influential woman in our life – the most caring woman in our life – the first person to teach us right from wrong in our life. And there is a connect with our mothers to our theme for this month as well. I think I can safely say this for most of us – Our mothers grew up in an era that was far more frugal than ours. They learnt to skimp and save and make the most of what they had. My mother (with her parents and family) was a refugee during World War II from Burma to Kolkata. They lived a very comfortable middle class existence in Rangoon and moved to India with little other than the clothes on their backs, probably happy to have just survived the arduous journey with the family intact. The family of eight lived in one room. The older children looked after the younger ones, and everyone shared all household duties together. Before school, the older children would sweep and clean the house and after school they would come home and wash their school uniforms for the next day as they only had one set each. My grandmother looked after the kitchen and the babies in the family. They had little, but they had each other. We can learn a lot from our earlier generation about making do with less. And that’s the green thought for today – make do with less. It’s easier said than done – but it is doable, and there’s a special pleasure in doing it too! 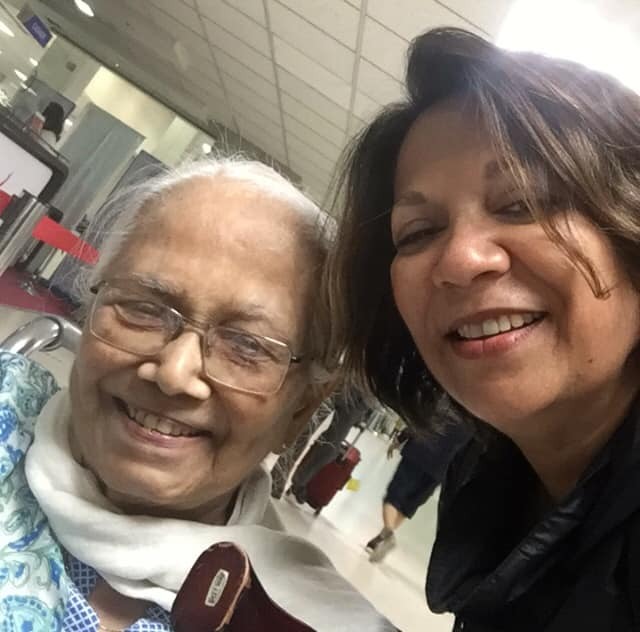 I am sharing a picture of my mother and me and would like to invite you to do the same today. To our mothers – who worked to make us the best we could be. Today’s green thought is water. 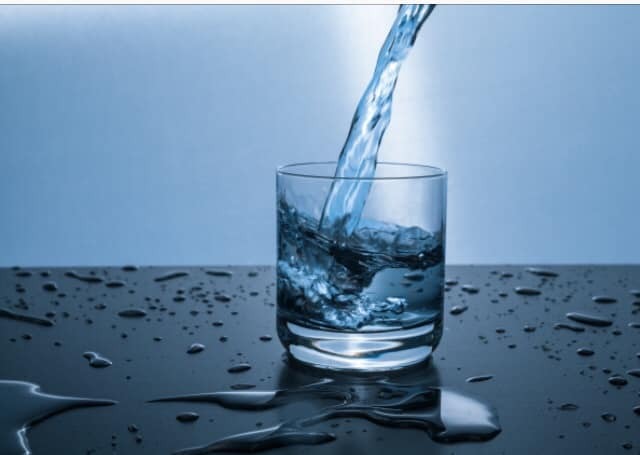 Life giving thirst quenching water – the most precious, yet undervalued, commodity known to man. The easiest to use and misuse, but the hardest to reproduce. The oil of the 21st century. Theoretically, just combine two atoms of hydrogen with one atom of oxygen and you’ve got water. Practically, not a single scientist till today has been successful in doing so. There have been two patents – one in Australia (Whisson windmill) and one in the US (AquaMagic) that have successfully harvested water from water vapor in the atmosphere. Neither has successfully harvested venture capital from the financial markets. Desalination is polluting, highly energy intensive and highly cost ineffective. So if desalination is bad for the environment and venture capital does not support water harvesting from the atmosphere, then we as consumers have to step up and do our bit. Turn off the tap when shaving, washing your hands or brushing your teeth. If every member of the family follows this, it’s a lot of water saved. 2. Check for leaking taps and water closets all over the house. They are a major source of water wastage. 3. A shower uses less water than a tub bath. A “bucket bath” uses less water than either. 4. Start a “5 minute challenge” at home. Challenge each family member to have a shower in less than 5 minutes by timing themselves. 5. We turn the shower on and wait for the water to get hot. Keep a bucket in the shower and collect that initial cold water. It can be used to water the garden or sweep the floors. 6. A dishwasher uses much less water than washing dishes by hand. But few people in jakarta use dishwashers. In that case, wash your dishes only once or twice a day, instead of one dish at a time. 7. Steaming veggies uses much less water than boiling them. And they taste better steamed. If you have to boil them, it’s better to boil water in an electric kettle, pour it over the veggies, cover and simmer on low heat. The left over water need not be thrown away. It can be used in soups or dals or even used to water the garden (provided there’s no salt or sugar or oil in it 😉) Microwaving some veggies is even quicker. 8. Wash your fruits and veggies in a bowl of water rather than running water. That’s much more economical. 9. Always use the washing machine on a full load. A half load uses much more than half the amount of water of a full load. 10. If you have a garden, watering it in the early morning or early evening saves much more water than if you do it in the middle of the day – less evaporation!! Eat less meat. 1800 gallons of water are required to produce 1 pound of beef, unbelievable as it sounds. Avoid buying bottled water. 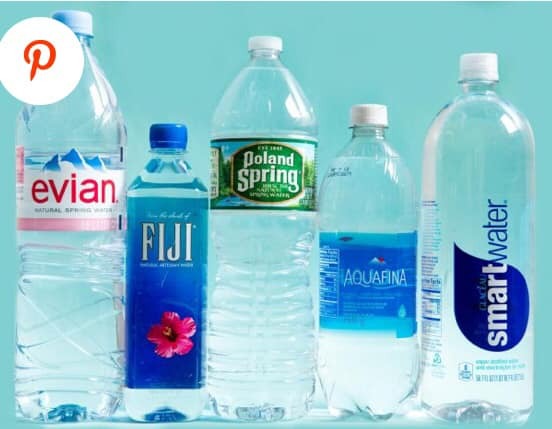 1.85 gallons (not liters) of water is required to make the plastic for a 600 ml bottle of water. Isn’t that ironic? Don’t waste food. When we waste food, we are also wasting all the precious resources that went into producing that food. But the bottom line is simply this – we have to change our mindset. 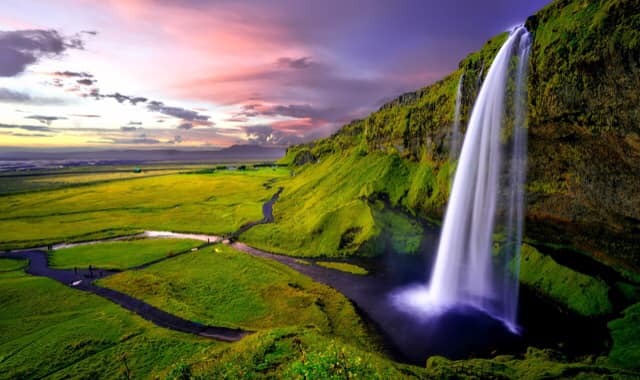 We have to stop thinking of water as a free, easy, never ending, bottomless well of plenty and start thinking of it as a very precious irreplaceable non renewable resource that we have been blessed with. And equally important, we need to communicate this to our children, our families, our helpers and all those around us. Maybe then our children and grandchildren will not blame US for producing a crisis and then leaving THEM to produce a solution. was water. Today’s theme is bottled water. Plastic bottles for storing liquids were first commercially produced in 1947, but they were too expensive to use on a large scale. In the early 19th century, bottled mineral waters from springs and resorts were quite the rage. Poland Springs Resort in Maine sold their mineral water in drug stores as a cure for kidney ailments. However the market was very small and limited to very high end customers. Once municipalities started distributing chlorinated drinking water, at least in the US and Europe, even that small market for bottled mineral water evaporated. Enter Perrier. Perrier was a manufacturer of high end sparkling waters that were sold in fancy restaurants and almost nowhere else. They wanted a makeover, and they wanted to enter the mass market. Their entry tied in with the baby boomers entering adulthood – and medical reports detailing the carcinogenic nature of saccharine, used in most sodas and soft drinks at the time. Both these events helped Perrier enormously. Health and healthy living was in, fitness was in, sugary drinks were out. In five years, from 1975 to 1980, the sales of Perrier surged from 3 million bottles to 200 million bottles. Of course, these were still glass bottles (small mercies 😉) However, in 1990 Perrier faced another hurdle. Traces of benzene were found in their sparkling water and the sales nosedived again. the danger of plastic bottles in landfill) and so the switch was made. Today, other than wine and beer, almost all other beverages are sold in plastic bottles. For now, we need to not BUY that plastic bottle. Today’s green word is “3 R’s”. We hear it all the time without really understanding or internalizing it’s true meaning. The 3R’s were first made public in the 1950’s and they were meant to regulate animal research standards. The 3 R’s stood for completely different words than what they do today. 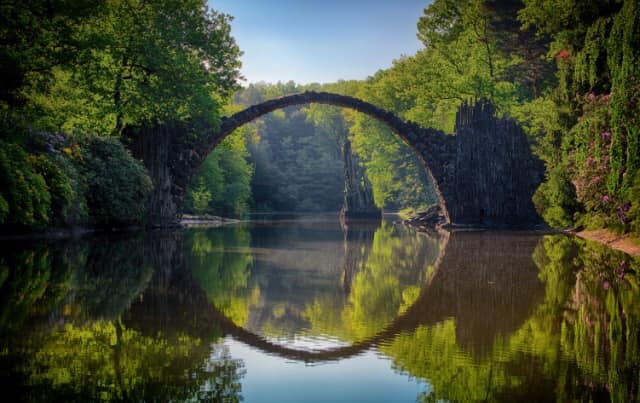 However since those early days, the term 3R’s has been borrowed by civil society, NGO’s environmentalists, industry, governments – and the old 3 R’s have morphed into new 3 R’s – Reduce, Reuse and Recycle. The three R’s are very clear, precise and unambiguous. Reduce your waste. Recycle your waste. 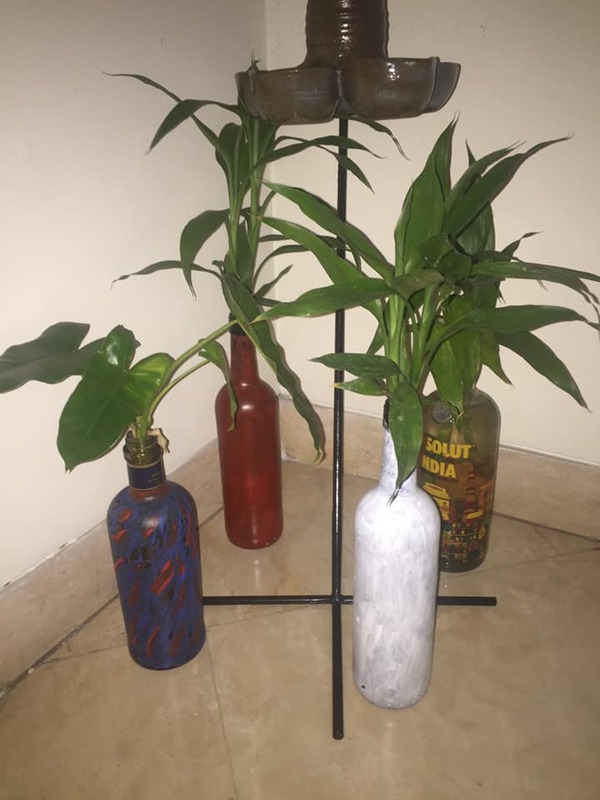 Reuse your waste. 5. Before throwing something in the garbage bin, just think if it can be put to use somewhere else. 2. Same goes for old electronics – someone will thank you for your gift. Give it away rather than keeping it – it’s a pain to dust every day and the longer you have it the more obsolete it becomes. 2. Use reusable plastic or ceramic containers instead of ziplock bags. 3. Empty glass bottles of sauces, jams, salsa, squashes can be washed and reused for storage. Recycle – I’d say this is the most important one. This can directly lead to reduction of landfill, the biggest problem on Jakarta’s long list of environmental woes. 1. Tetrapacks, bottles, old newspapers and magazines – all of this can be recycled or sold at the bank sampah (garbage bank) found in many street corners. I am currently in dialogue with my neighborhood garbage collectors (the big orange “Jakarta Bersih” municipality trucks – as well as the “pamulangs” who walk the streets with their little carts – and will share with you their insights on what is the best way to separate and reduce garbage. After all, they’re in the front line of the fight against the mounting piles of garbage – so their insight counts for a lot! Oh my daughter has just told me – it’s not 3R’s anymore ma – it’s 4R’s – and the 4th R is REFUSE!! Refuse a plastic bottle of water, refuse a plastic shopping bag, refuse a non recyclable container – and the list goes on. This is a rather splendid addition to the original 3R’s, me thinks! Today’s green thought is electricity. We can’t imagine a life without it. From spectacular lightning displays to the microscopic synapses in our bodies – it’s all ruled by electricity and electric impulses. In our entitled world, electricity is one of the most basic needs. 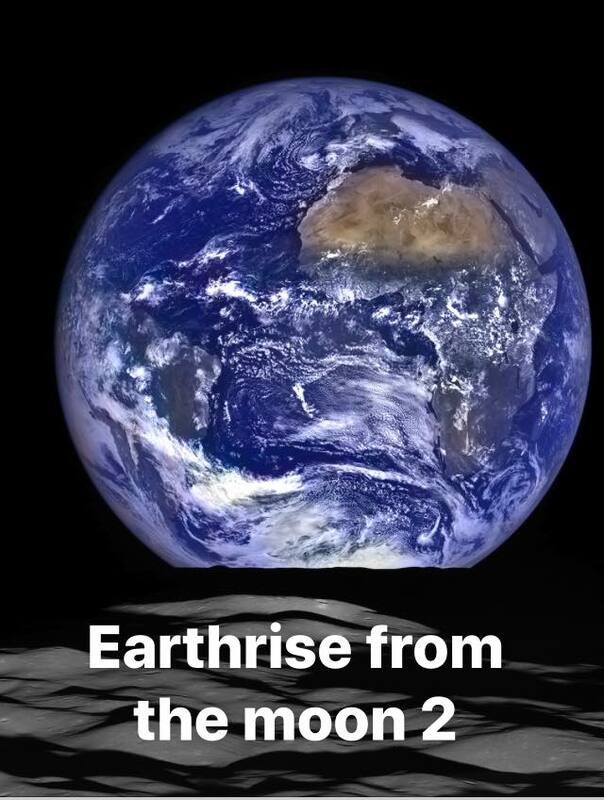 But ONE BILLION people – a quarter of the world’s population – have never ever had it! So we are privileged – but we need to appreciate that privilege- and make sure we get the maximum out of it. 80% of global energy is produced by fossil fuels. Most likely the electricity we use is manufactured from a fossil fuel. So we are already guilty. But we can use it judiciously and waste as little of it as we can. Keep your Air conditioner at any temperature above 22*C. Below 22 the power consumption is much higher. 2. Shade is important. Living in a tropical country, we need to keep our rooms as shaded as possible during the day to ease the air conditioner’s load at night. 3. Use fewer light bulbs with higher wattage. One 100W lamp produces the same light as two 60W bulbs. 4. Use pressure cookers A LOT!! 5. Throw away cooking vessels with distorted bottoms. They gobble up energy. 6. Don’t preheat that oven – unless you’re cooking at super high temperatures, it’s not necessary. 7. Use an oven as little as possible. Microwaves, toaster ovens and crock pots are far more energy efficient. 8. Defrost fridges and freezers regularly. 9. Don’t overstuff a freezer. Use only 90% of the space. They work much harder than fridges and use much more energy, specially if packed to the gills. 10. 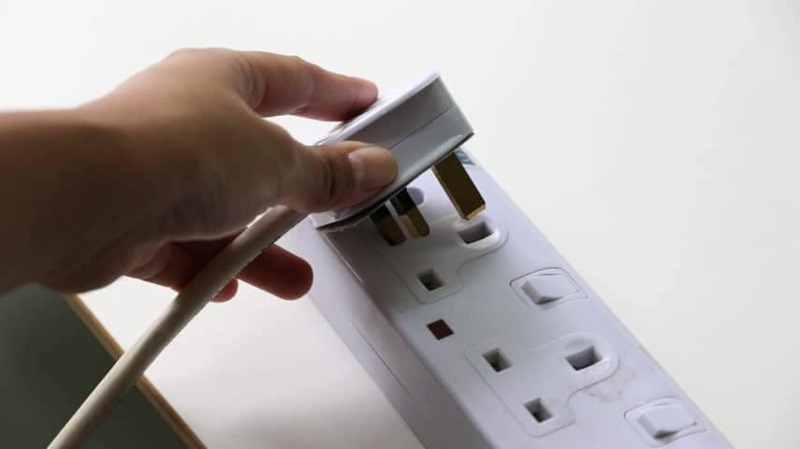 Don’t just switch off your electrical items – unplug them from the wall. 11. Use nature and human power – a knife and chopping board instead of a food processor. Let your hair – and clothes – dry in the sun! 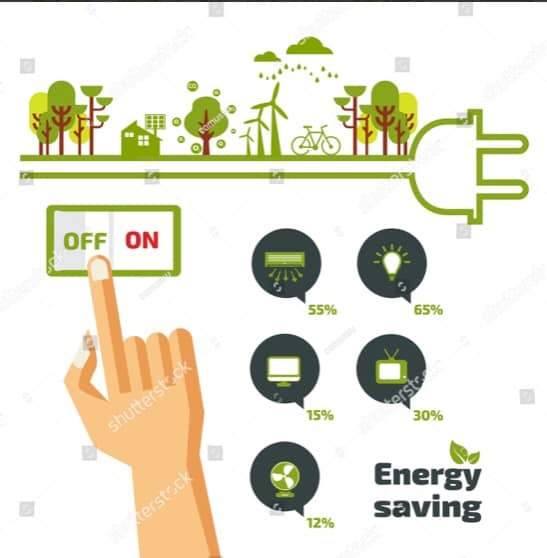 Share more of your own ideas for saving energy please! Today’s green thought is kitchen scraps. The organic waste we generate in our kitchens daily. It makes all the rest of our garbage wet, smelly, sticky – and yet, there’s a wealth of goodness hidden inside it! For starters – the most important point is this – today we are only talking about “vegetarian” kitchen waste. Leaves, stems, peels, seeds and skins of veggies, nut shells and husks, corn cobs, and so on. No cooked food, no dairy, and definitely no animal product. 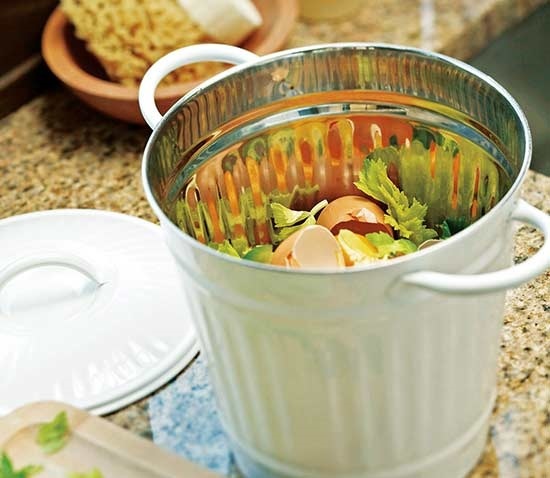 This “vegetarian” kitchen waste is immensely valuable. It has all the goodness that the actual veggies had, only in a form that WE can’t utilize. But our gardens can! So we need to harness this goodness. If you have a garden, then it’s simple. Every day, whenever you have vegetarian waste, chop it up into small pieces – use kitchen scissors – and hold in a bag. You can also add here tea bags, egg shells, and coffee grounds. You can even add a bit of shredded old newspaper into the bag so it doesn’t get toooo watery and wet 😉 Collect over a week maybe. Then just make a small hole in an unused vacant part of your garden (maybe a foot deep) throw the shredded veggie scraps into it, cover with soil, and FORGET about it. In as little as a month or up to a year, it will turn into compost on its own! How neat is that! And it will provide nutrition to the soil where you’ve made the hole. A week later, when you’ve collected another pile of veggie scraps, you can dig another hole in another part of the garden, put them in again – and FORGET about it 😉 nature will do its job and the scraps will mature into compost. 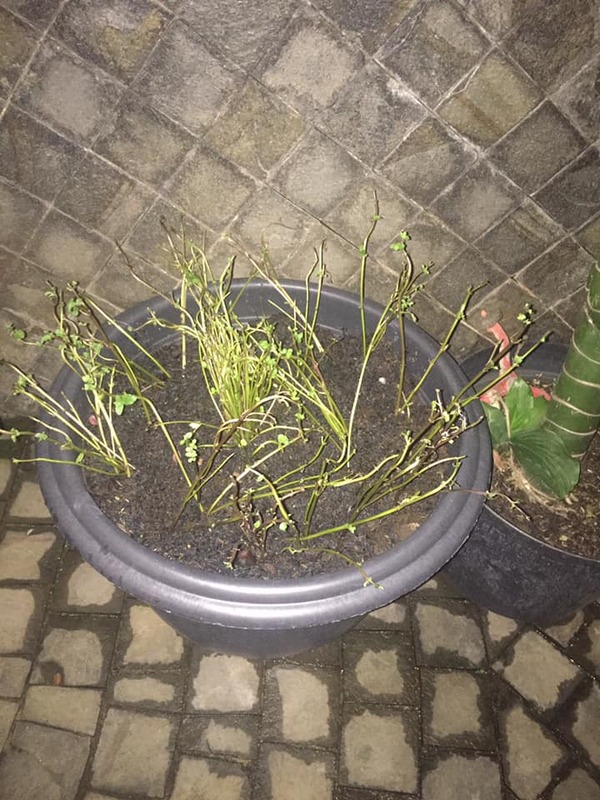 If you want to take the compost out and use it elsewhere, then you need to mark the spot where you buried the scraps and check it a month later, at the earliest. But you will need a powerful blender for this. And that’s it believe it or not! 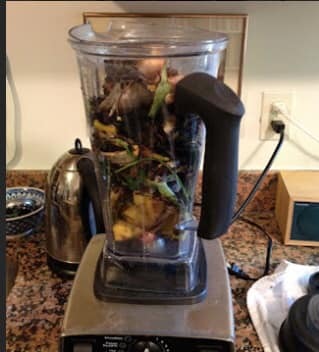 Every day, throw all your veggie scraps (shredded to make it easier for the blender) plus egg shells plus used tea leaves plus coffee grounds into your blender, add some old shredded newspaper, enough water to cover the scraps – and zap it! That’s it! Then you can pour it directly into your plant pots!! However – spoiler alert – I haven’t tried it myself so I can’t comment on its efficacy – but it sounds so doable – I’m gonna give it a shot for sure! 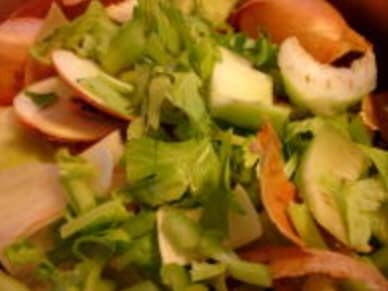 Cooked food can be composted but you can’t bury it and forget about it like veggie scraps. It needs regular tending. Happy composting 😊 and just remember – by this simple process of composting, you are helping in a huge way in reducing garbage and landfill. Your children and their children will thank you for it! Today’s thought is packaging. 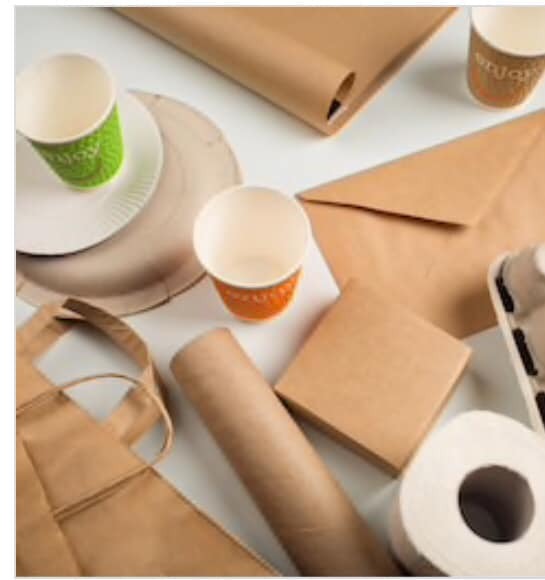 From a simple brown paper bag, packaging has come a long way baby!! Cutting edge designs, rainbow colors, gorgeous packaging materials – you name it and it’s there. I read somewhere that the packaging in some cases can contribute more than 50% to the cost of a product. Perfumes come to mind instantly. A fabulous but totally useless glass bottle – coz once it’s empty you can’t open it or refill it – encased in 3 sometimes 4 layers of beautifully designed and printed boxes. There are two sides to packaging. One is we as consumers. We should try to buy as little packaging as possible. The other is the manufacturer – who has as much responsibility as a consumer does. He owns the packaging as much as the product and he has a responsibility for its correct disposal just as much as we do. 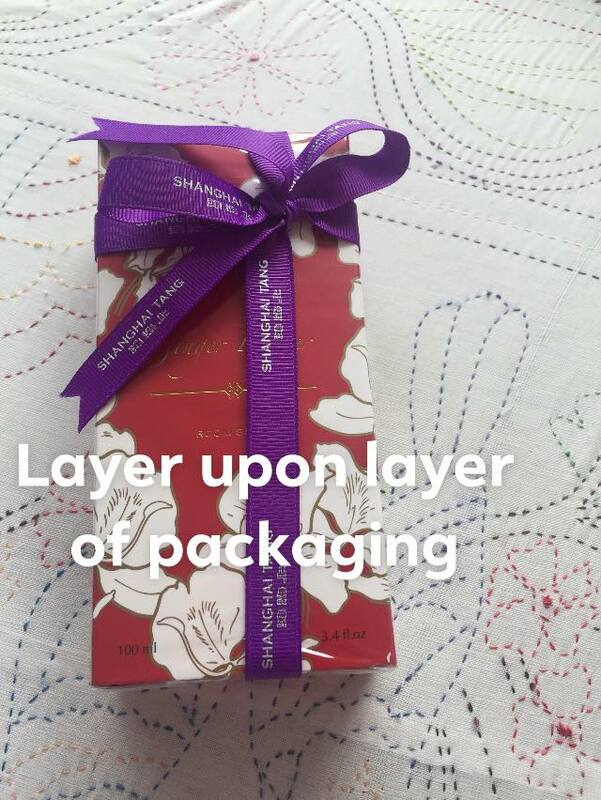 Buy products with as little packaging as possible. A bunch of bananas does not need to be bagged, and neither does a pineapple or a bunch of greens that is already tied in a bundle. 2. Avoid styrofoam as much as possible. If you can’t – make sure you use it in your home for packing fruits and veggies in your fridge. Don’t throw it in your garbage bin. 3. Plastic and glass bottles should be separated from your regular garbage, washed, dried and handed over separately to your garbage collector. They can sell these bottles and make some money. 6. Buy in bulk. This reduces packaging considerably. Today’s green word is floor cleaners. We use a myriad variety of cleaners in our homes – oven cleaners, toilet basin cleaners, furniture polish, ceramic and glass cleaners – but for the purpose of today’s write up, we’ll restrict ourselves to floor cleaners – since that’s what we use the maximum quantities of in our homes. Floor cleaners come in a range of prices, fragrances, brands etc etc – but there are two chemicals that are common to all – and are highest in percentage – phosphates and fragrances. Now phosphates are used in fertilizers, so they’re good for us right? Wrong – it’s the percentage of phosphates that swings the balance. In small quantities it is a fertilizer and growth enhancer. In large quantities it’s poison. Specially when we throw our floor cleaners down the drain they go to the rivers and lakes. 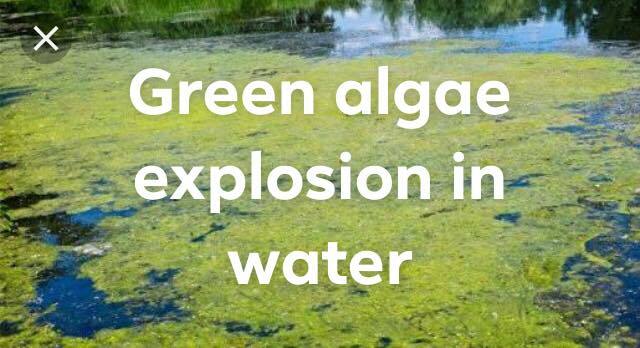 The quantity of phosphates in these water bodies continues to rise, and then they cause an explosion of growth in green algae which is present in the water. This in turn inhibits the supply of oxygen to fish and marine life, and they die in alarming quantities. 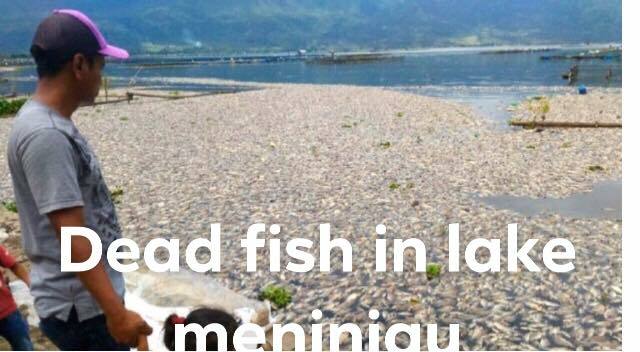 Lake toba and lake meninjau saw huge epidemics of green algae and dead fish on an epic scale last year and the year before. So what do we do? The simplest and one of the most effective is simply two capfuls of white vinegar in a bucket of water used to mop the floor. It takes care of grease and dirt, and is a mild anti flies agent too. However – since we’re so used to this – it has no fragrance and some people don’t like this. In that case the other alternative is Sereh, available in jakarta. It is made from all natural ingredients and has lemon grass oil, which is great to dispel flies AND mosquitoes, AND it has a great lemon grass perfume. It is totally child and pet safe. Try switching to natural floor cleaners – cheaper, healthier, and way more eco friendly! Today’s thought is dry colors for holi. Since one of our most happy happening festivals is round the corner – it will be a nice time for us to reflect on the side effects – and after effects – of our playing holi. Traditionally the colors used for playing holi came from flowers and herbs. Green came from dried neem leaves, blue from indigo, red and yellow from turmeric, black from charcoal and so on. But today they’re almost synthetic synthetic. And sometimes toxic. 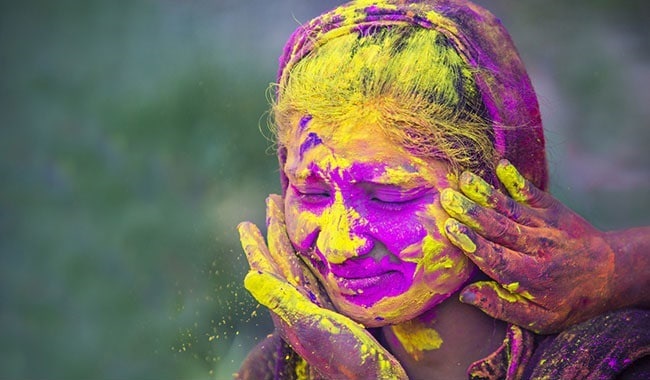 The most benign form of modern holi color is “gulal” – cornstarch mixed with food, drug, and cosmetic grade dyes. They come in dry powdered form and are generally considered safest for humans and the environment. However, newer cheaper and deadlier colors soon made an appearance – copper sulphate, Mercuric sulphide, chromium iodide – or worse still – industrial pigments meant for dyeing or painting on an industrial scale. Sometimes these powdered dyes and liquefied with used engine oil. It is easy to imagine what harm such products can do to our bodies and to the environment. One report from a dermatology clinic in India mentioned skin lesions, burns, and eye ailments – all post holi playing sessions. Today there is wide spread awareness about the hazards of poor quality colors and the need for a return to the older plant and nature based colors. CSIR Lucknow has developed a range of herbal gulals that are commercially produced and readily available. Today’s green word is the menstrual cup, which has transformed the lives of women who use them. 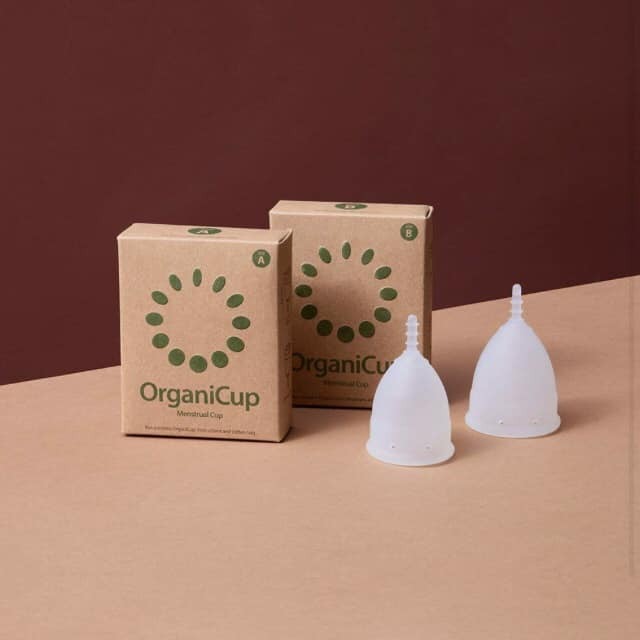 For those who’ve never used one, a menstrual cup is a small bell shaped cup with a stem at the bottom, all made of flexible medical grade silicone. The bell shaped cup is held in place by suction. Every 10 – 12 hours the cup needs to be taken out, emptied into the WC, washed and re-inserted back. All normal activities – including sport and swimming – can be carried out while wearing it. At the end of every period, it should be sterilized and kept ready for the next time. The beauty of the cup is that unlike pads and tampons, it only collects fluid, and doesn’t absorb it. So it’s life can be up-to 5 years with no problem at all. For starters let’s talk about the environmental impact of switching to menstrual cups. On an average, every woman uses 25 pads per month = 300 pads a year = 12,000 pads per lifetime – times 3 billion women on earth. The total figure is mind boggling. And all this waste is totally non recyclable and completely non bio degradable Of course sadly half this number of women may never have had access to sanitary pads in their life. So it’s not really 3 billion women we’re talking about, maybe 1 billion. But even so, the numbers we’re talking about are huge. There’s the cost: you have to keep buying pads your entire reproductive life. As for a menstrual cup, you buy one (some buy two) and then forget about it for the next couple of years at least. That’s true value for money. Then of course there’s the environmental advantage of using a menstrual cup. It’s the ultimate zero waste product. No footprint in landfill, no untreated chemicals going into the earth, and no plastic that takes hundreds of years to degrade/decompose. And it’s super hygienic too, as you’re the only person who touches it. Plus, pads do contain a whole bunch of chemicals that are in close proximity to a very sensitive part of your body. There’s no such issue with a menstrual cup which only contains inert medical grade silicone. but that’s not all there is – the beauty of the menstrual cup is that it has no monthly recurring cost at all – just the one time buying cost, so it’s actually much cheaper in the long run. There is an important downside though – and that’s the mindset of changing from pads or tampons to a cup. We’ve been used to pads (and tampons) historically, and feel comfortable with how they’re used and disposed. The cup is a whole new concept altogether. For all the women I’ve spoken to who use menstrual cups – and the first was my daughter who introduced me to it and swore by the neatness of this product – they all had the same thing to say – the first couple of periods you feel a bit uncomfortable – thereafter it’s a piece of cake and there’s no looking back – no gross napkins to wrap and look for places to dispose in, no plastic soaked heavy landfill loving items every month, no leaks (specially if you’ve attached it correctly), one can go for longer hours without having to change – for starters. And there are fantastic videos on YouTube showing exactly how to use this product – so that’s a cakewalk too! So do give it a try – and you’ll feel super glad you did! Today’s green thought / word is meat. Or to be more precise “meatless”. Meatless Monday is a movement that was first started by the US Food Administraton during World War I to conserve staples during war. This movement was again revived during World War II for similar reasons. In its final avatar, it was the Johns Hopkins Bloomberg school of public health in 2003 that got together with a number of non profits to push for less meat production and consumption to promote better personal health together with the health of our planet. Today it is a very successful movement that has millions of adherents. 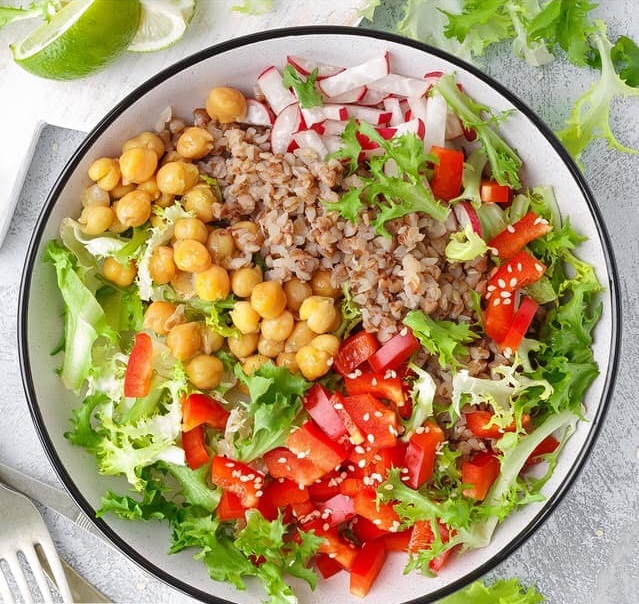 In fact, on 11 March 2019, ALL schools in New York City have announced that they will follow meatless Monday in the interest of personal health and environmental consciousness: this covers 1.1 million schoolchildren every day in the city: This is welcome news indeed! And it is hoped that these children will also talk to their friends and contemporaries and thus help spread the awareness. 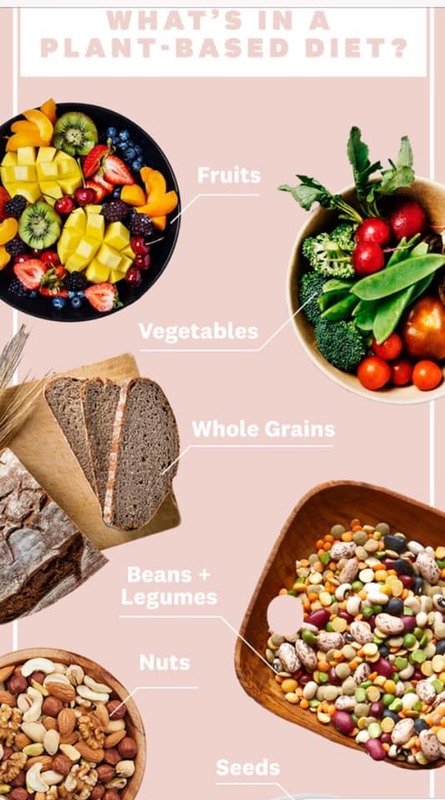 This is the thing – all the modern research available today has shown us without a doubt that a plant based diet is much better for our bodies and for our health. Specially the kind of large scale factory produced meat products being sold and consumed nowadays. The cattle today are given dubious feeds (sometimes even containing animal products itself) and high dosages of antibiotics that are used as growth stimulants. It is estimated that 70% of the antibiotics produced in the U.S. are used up by the beef and dairy cattle industry. That is a scary thought, and it is leading to the current scenario of antibiotic resistant bacteria. The other additive is of course growth hormones. However the research out there shows that naturally occurring growth hormones in both cattle and humans far outweigh the amount of artificial hormones injected into cattle, so that shouldn’t really be an issue. What should be an issue – and totally IS – is the fact that by eating large amounts of meat, we are consuming a disproportionate percentage of the earth’s resources. A paper published last week in Science shows that 83% of the world’s land is used for animal farming but it only produces 18% of the world’s calories: the main reason for this imbalance is that we don’t feed our cattle grass, which they are meant to be fed, but we feed them grain, which has to be grown and harvested first itself. 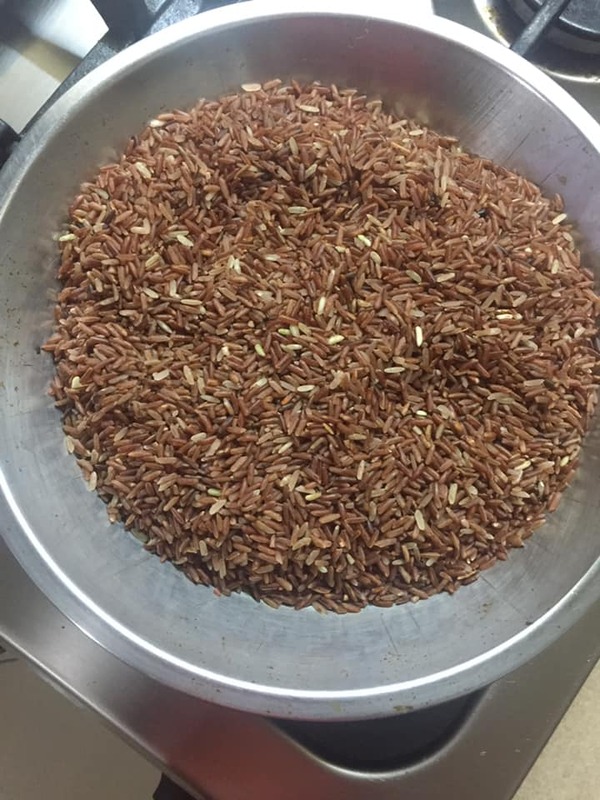 This grain can just as easily be used to feed humans – but instead we feed them to cattle and THEN eat the cattle ourselves – thus adding an extra step to the food manufacturing process and making it less efficient too. So for that reason alone, we should be favorably disposed towards meatless Monday: apart from the fact that if we don’t care for our health who else should? And since today is a Monday – what better time than now, what better day than today? A footnote, but a very important one – if you can add zero dairy to your zero meat for that one day of the week – even better! After all, dairy is as much an animal product as meat is, and there are the same inefficiencies in production of dairy as there is in the production of meat: just the one meat free dairy free Monday in your life will make you feel lighter and healthier over the course of a few months! 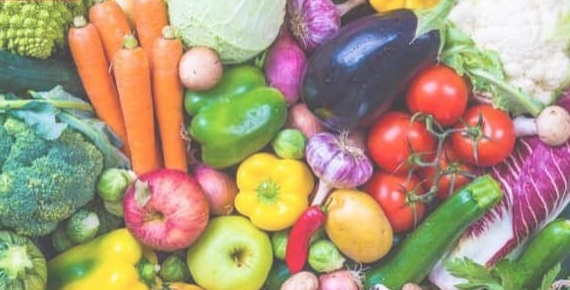 More than 30 leading world famous scientists have concluded that eating more plants and less meats will create a healthier more sustainable global food system. So don’t wait any longer- just start it! Refuse plastic – bag or straw or bottle or cup. 2. Separate your garbage – this one is harder than it sounds but infinitely rewarding if you can do it. No plastic bags in your garbage, composting for veggie scraps, give your empty boxes, glass and plastic bottles to your garbage collector separately (he has bags for them and can sell them for some cash), turn off power at night for your appliances, turn off taps when not being used, turn off lights when leaving the room, eat less meat, and generally – MAKE DO WITH LESS!! live more, experience more, shop less, eat and drink less! 3. WALK! Discover/rediscover the joys of walking – even a city like jakarta has lovely walks – if you just look around you 😉early morning or late Sunday afternoons is the best time ever for exploring your neighborhood on foot – and if you can get your spouse / friend to join you, nothing can be more rejuvenating. Today’s green word is diaper – can’t live with and can’t do without. All we had for every day use were cloth nappies, which were folded over and attached with two nappy pins (safety pins but larger 😉). Unsafe and unwieldy to use, not very absorbent, and most important, uncomfortable for babies when wet. Maybe, coz of all these reasons, we toilet trained our children very early….. had to actually – no choice – no hanging out in diapers at three, or even four years of age, without a care in the world! To be fair, in those early days, nobody really imagined how widespread and mainstream diaper use was ultimately going to become. Besides, there was zero awareness of the negative effects of plastic, and of the degradation of soil and landfill. It was a perfect storm, so to say. The number of diapers manufactured and sold globally climbed exponentially as people grew more financially stable and majorly stretched for time – and diapers became cheaper and easier to use and dispose – to the extent that, in 2007, proctor & gamble actually introduced a diaper for 41 lb. babies – a typical 5 year old’s weight 😐 plus they were telling parents not to push toilet training for babies as it could “traumatize” them. 1. 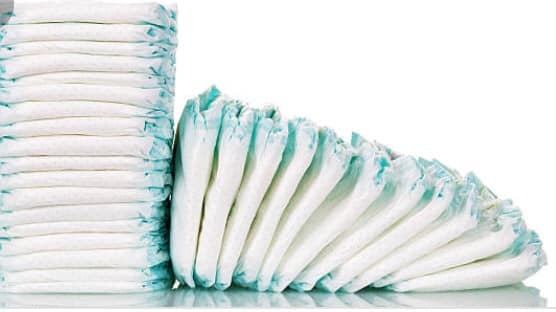 Bleaching by chlorine to produce white colored diapers can also produce dioxins, some of the most carcinogen compounds known. 3. Dyes, fragrances, plastics and petroleum derivatives. 5. Elastic used for the waist of the diapers. So, diapers are not only bad for the environment, they’re equally if not worse for your baby. Of course here’s the thing – they are super SUPER convenient!! So why not at least a compromise? Use them as little as possible – for long journeys, for night times….. and switch to cloth for other times? Cloth nappies are not as convenient as diapers, but if frequently changed, are much better for your baby’s skin. They need a bit of planning to use but once that’s done, it’s easy! And of course they can be reused hundreds of times! Ultimately of course this is a very individual decision. Every family has its own imperatives and its own reasons for doing – or not doing – things a certain way. But if the bottom line is your baby’s health and well being, there’s no two ways of doing things is there? 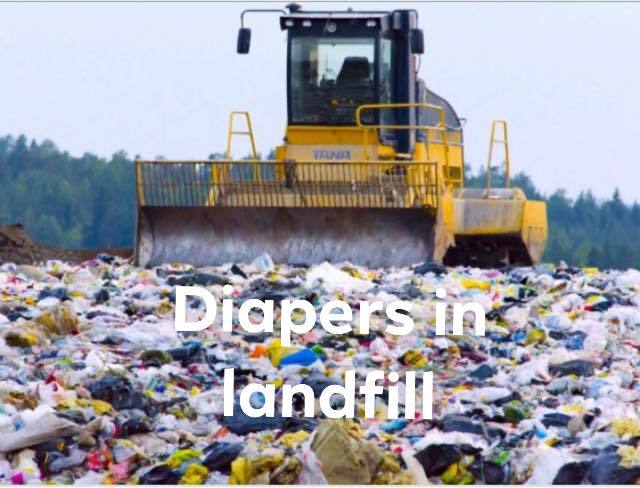 Today’s research has proven that diapers produced now – early 21st century – will biodegrade around 2500. Do our children have the luxury to wait around till then? Today’s topic is wipes. Or wet wipes, to use its proper name. First manufactured in 1957 by a person who worked in the cosmetics industry, wet wipes were initially marketed as “Wet Nap”, a name that is still used today. It was sold to KFC in 1963 for wiping one’s hands after eating fried chicken with fingers. There was no looking back after that. The paper or woven plastic, was impregnated with water or various kinds of solvents, depending on what its final use was going to be. Softeners, moisturizers or perfumes were added. Preservatives were also added to some wipes to inhibit bacteria or fungus growth. A downright cocktail of chemicals!! later. And of course they’re totally non biodegradable. Initially it was marketed primarily as a babies hygiene product, but soon began to be used for a wide range of other non related cleaning uses. 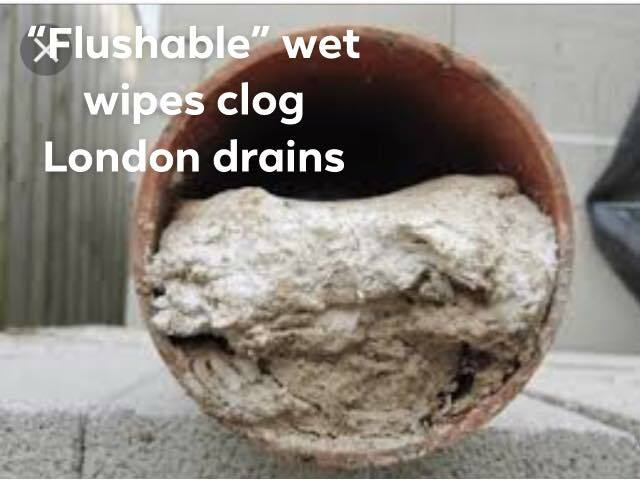 Floors, tiles, toilet seats and other surfaces around the house are often cleaned with wet wipes – not to mention dirty hands, faces, babies bottoms and various other body parts! Once they’ve served their purpose, they’re chucked down the toilet or thrown in the garbage. Both places are hazardous for disposal. Wet wipes neither dissolve nor disintegrate. 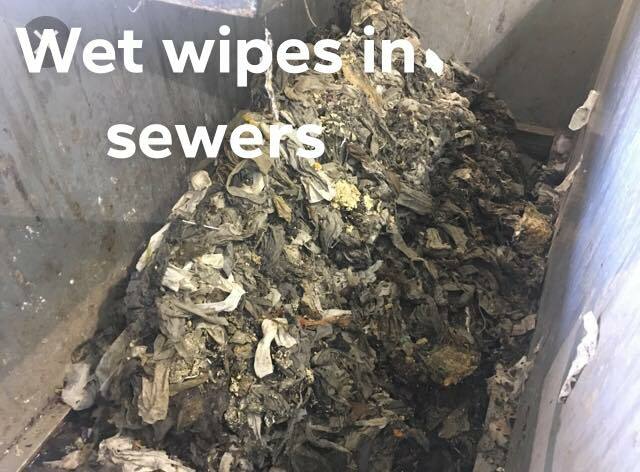 In fact they collect in sewers and attract other solid waste and fats which stick in their fibers and make a total mess. Some of these masses have been recorded as larger than the size of a bus. And that is not all. These wipes regularly wash up on beaches all around the world. They are indestructible, non biodegradable, and a magnet for fats and oils. There is a way out though. Knowledge is power. Hopefully you’ll think twice before buying them next time: and the good thing is – there are healthy green alternatives available right now. Good old fashioned cloth for one. It can serve all manner of cleaning purposes, and all we need to do is give it a wash and it’s ready to use all over again. The other alternative specially in the bathroom is normal toilet paper (made out of plain paper and not some deadly combination of paper, plastic, fibers and petrochemicals). Our job here at indoindians during #MonthOfGreen is to highlight the various environmental unfriendly products we use without knowing the consequences of our actions. Once you DO know, we’re sure you’ll have a rethink and shop around for better alternatives. For all our sakes. 1. Plastic bottles, plastic pouches, plastic containers (shampoo, shower gel etc) tetrapaks (milk, juice etc) NOT PLASTIC BAGS. Just rinse them and dry them out. 2. Cardboard boxes, cardboard containers. 3. Metal cans, aluminum cans, foil. 5. Electronics of any type, cables, screens, plugs etc. Al these items can be given to the pemulung ( guys with wooden carts) who are to be found on the streets in front of your home every single day 😉 you can give to them, or your staff can sell to them (added incentive for them to separate these items 😉). The pemulung will make sure these items are recycled, as he also makes money from them 😊 so it’s a win – win. Your staff should be educated on separating 1. (Veggie scraps) from 2. (animal remains) and 3. (dairy waste). Veggie scraps can be composted but the other two cannot. So #2 and #3 have to be thrown in the garbage sadly. Today’s topic is deodorants and / or antiperspirants. Firstly – what’s even the difference between the two? Let’s put it like this – antiperspirants are the pits 😉 They are exactly what they are called – designed to prevent our bodies from perspiring. 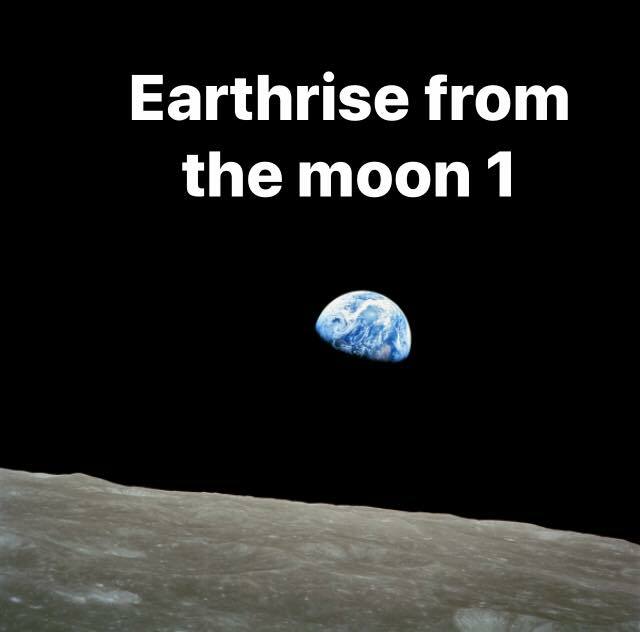 This may sound great in theory – actually, it is anything but. The thing is – we have been conditioned to believe that sweat is bad, it’s smelly, it’s unsightly, its uncool … and so on. And we buy the story, lock stock and barrel. Without stopping to think through the matter. Our bodies sweat because we NEED TO SWEAT. That’s how we detox ourselves. That’s how we get rid of poisons in our bodies. And that’s how we cool ourselves when we overheat. All these functions are vital for our well being. Yet we try to suppress them. And how? 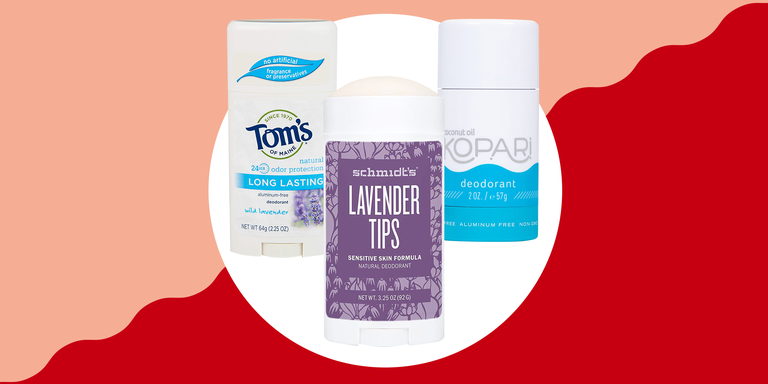 Antiperspirants use aluminum, a neurotoxin, to block the pores of our sweat glands. neurotoxins are toxins that are destructive to nerve tissue. But we still use antiperspirants- coz we feel they will make us smell better, look cool and unruffled, they won’t give us sweat patches under our armpits – and so on!! But that unsightly sweat is present for a very important reason – primarily to rid our bodies of toxins. Where do these toxins go if they can’t be released? Our armpits are in close proximity to our lymph nodes and breast tissue. A study published in the European Journal of Cancer did actually suggest a link between antiperspirant use and breast cancer. Better be safe than sorry right? Why use a product that actually changes the way your body functions, just to stop you from the side effects of sweat? 1. Reduces the risk of kidney stones. Without sweat, excess minerals travel to the kidneys and urine and add to the risk of stones. 2. Regulates normal body temperature – evaporation from the skin’s pores cools down the body. 3. Regulates acne – sweat opens the pores of the skin and allows build up to evaporate faster through the skin, preventing break outs. You can carry a deodorant in your bag and use it multiple times a day. That will work as well as an antiperspirant without the nasty side effects. Today’s green mantra is recycling in the bathroom. We’ve talked about separating our waste, composting with our veggie scraps, separating plastic bottles and tetra packs, separating dairy and animal product waste from veggie waste – and so on. Most of this centers around the kitchen. 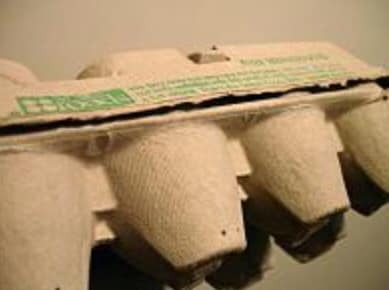 Start with the basic – there MUST be a bin in the bathroom for recycling. Without that bin, we will tend to forget. It’s only human. But with the bin visible in front of us, we will never throw our garbage carelessly. Empty toothpaste tubes and cartons, empty toilet paper tubes, used disposable razors, shampoo and shower gel bottles, empty plastic toilet cleaner bottles, used toothbrushes – the list is pretty darn long! And most of the time, it gets mixed with other stuff that cannot be recycled – so everything goes into one garbage bin and that’s it! 4. Most important – please hand over the contents of this recycling bin separately to your garbage collector so it doesn’t go into landfill and he sees there’s money in there for him 😉your garbage collector can empty the contents of your bathroom bin into his recycling bags and hand your bin back to you. 5. The first few times you do this – there may be some hiccups – that’s only natural. After a while it’ll become very smooth and easy – and I say this from personal experience 😊And you’ll find the amount of garbage (absolute garbage) that you give to your garbage collector will have shrunk considerably. And imagine if most households in jakarta do this – happy thought isn’t it!! 6. Change mindsets – this is the toughest but the most rewarding one…. there are actually people who even today proudly say they don’t recycle and they don’t care😐 if you care about recycling and you communicate this caring to your children, your partner, your staff, your neighbours and your friends – that’s huge 👏 each one of these can in turn again communicate this caring to the next level of contacts. And so the ripple effect grows. Let’s make recycling and the 3R’s cool and rewarding – that’s the only way we can even hope to confront this evil – let alone overcome it! Today’s green thought / word is recycled toilet paper. Ok the color is not as white as toilet paper made from virgin wood pulp. It may be a tad less soft than that made from virgin wood pulp. But if that is all the difference there is – and I can testify to this fact personally so help me God – then can’t we use it just as happily as the non-recycled paper? It costs the same or maybe a little less – but it’s impact on the environment is so much less that it’s the best reason for us to switch immediately. The amount of water used to make tissue from recycled paper is way less than the water needed to make tissue from wood pulp. Plus of course the trees that didn’t get cut down. Sadly, I have yet to see a SINGLE brand of recycled toilet paper in jakarta. Please please someone correct me if I am wrong and I will gladly admit my mistake. Why can’t we do this? 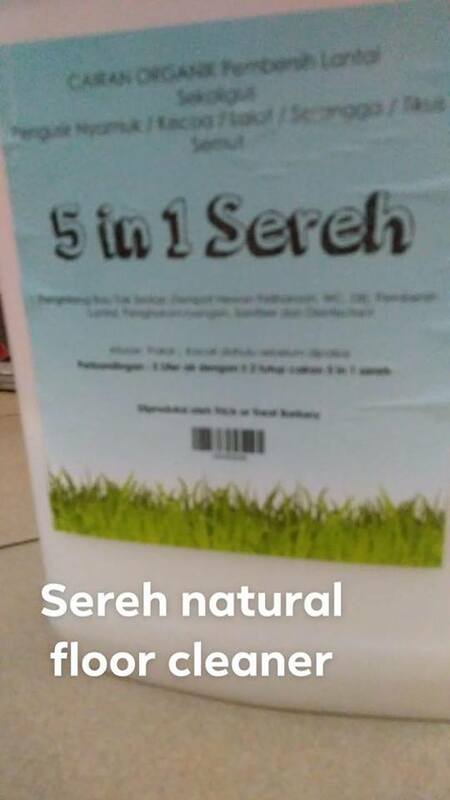 Can whichever one of you who is reading this post find out if recycled toilet paper can be purchased in Indonesia please? Indonesia is one of the largest manufacturers of paper products (all made from virgin paper pulp of course 😳) – can we not take this process one step further and become one of the largest manufacturers of recycled paper products? 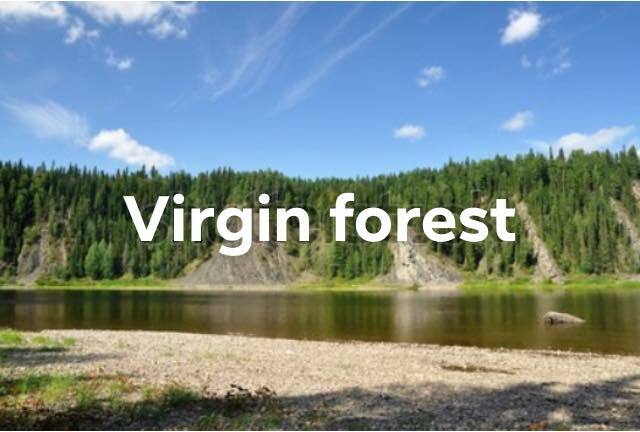 And the advantages are many – we have a large cheap workforce which makes it easier for us to collect used paper for recycling; we need to start conserving our forests before it’s too late, and of course less resources are needed to produce recycled paper products as opposed to fresh paper products. The EU has mandated that from 2020, NO PAPER or PAPER PRODUCTS can go into landfill in the EU. That is a great step to take. 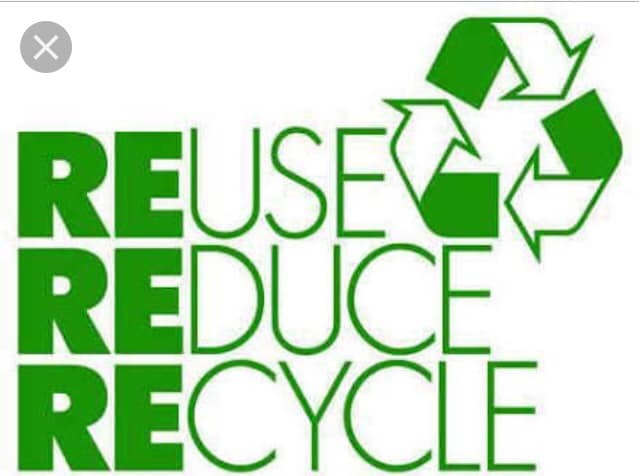 Paper can be recycled 5 or 6 times before it’s fibers become too short and cannot be used anymore. Think of the amount of virgin wood pulp this would save! Of course, every time paper is recycled, some amount of virgin wood pulp has to be added to give it strength and durability. But that is nothing compared to using 100% virgin wood pulp of course!! 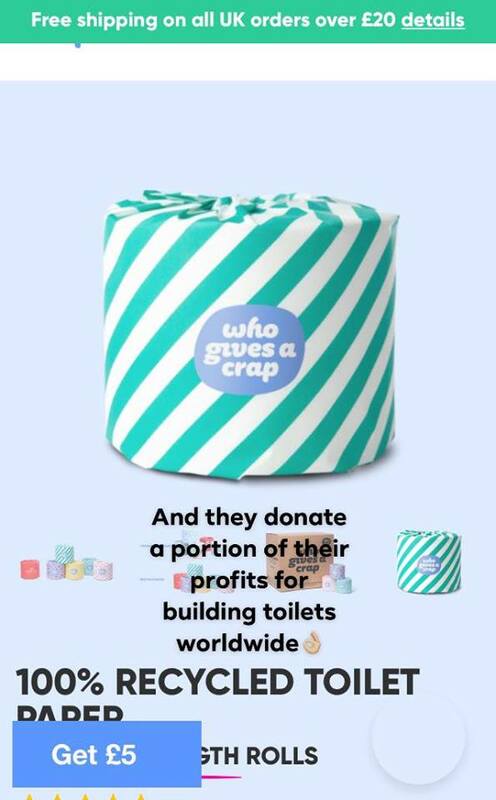 Let’s start looking at this seriously – recycled toilet paper instead of new! Today’s green thought is food waste: and we’re specifically talking indonesia here. According to the Food Sustainability Index published by The Economist Intelligence Unit, Saudi Arabia has the highest food waste per capita per annum @ 477 kgs followed by Indonesia @ 300 kgs. But the population of Saudi Arabia is 34 million and the population here is 269 million. So we’re talking a humongous quantity of food waste every year – and in a country that can barely afford to do so 😢 Even the USA, which we always knew was a big source of binned edible food, comes in third behind Indonesia. To what do we owe this dubious distinction? Probably the fact that at Indonesian weddings there should be much more food served than the number of guests actually invited, so everyone sees that the host can afford to waste that much food – maybe a good concept a century or more back – but completely meaningless if not downright criminal today. There are some organizations that have stepped into this breach to support the donation and recycling of excess food from parties and weddings. Enter A Blessing To Share. They are a collaboration between a wedding planner, a food donation organization, and GOJEK. The wedding planner Bride Story sources the excess food from a wedding and informs Food Cycle Indonesia, a yayasan dedicated to food donation and distribution. Food cycle then informs GOJEK who picks up the food and delivers it to Food Bank of Indonesia. Here it is unpacked, tested for quality, repacked into individual portions, and distributed by their staff to needy people in the area. The thing is – food cycle Indonesia has to be informed way before your event as they are booked up weeks and months in advance. And they are not great on reverting right away. So it is a bit of a struggle to hear back from them. But once they have accepted your request, the rest of it works smoothly. food donation is becoming a thing! 3. Also food cycle is always looking for volunteers – so do think about this. Here’s the link to what a blessing to share does – and hopes to do – in the year ahead. It’s very heartwarming. If you’re keen to find out more and/or volunteer, do check out Foodcycle.id – it’s an inspiring read! Such a great item to report for today’s green message! 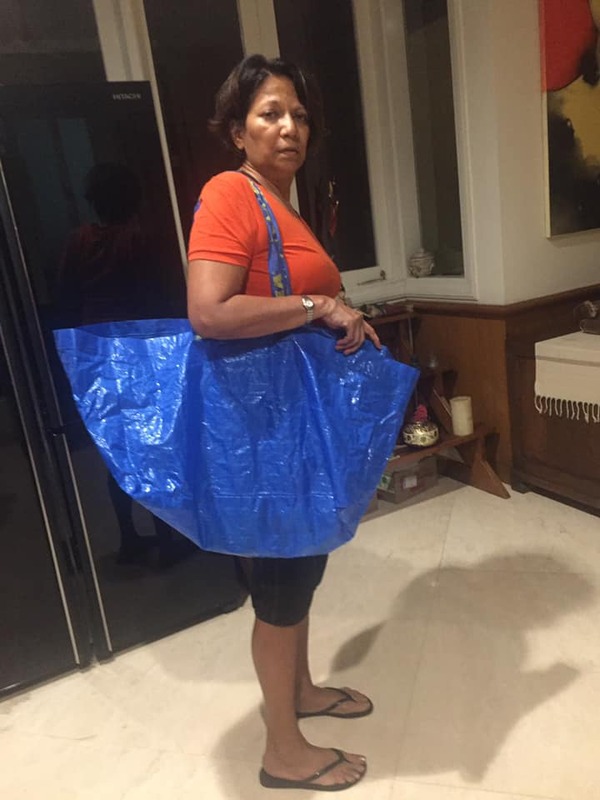 Reduce plastic bags! 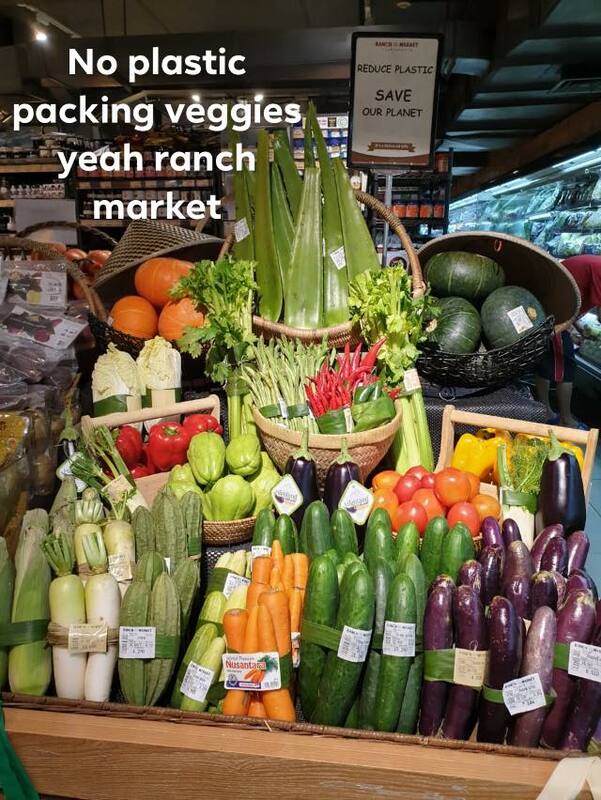 Susan Poku, Jakarta’s zero waste warrior, reports that ranch market pondok indah, ranch market Dharmawangsa and ranch market kemang are selling plastic free veggies! And talk to your supermarket to do the same!! I used sweet orange essential oil for one deodorant and mix of lavender/lime for the second – and both smelt divine! Do try it out! No aluminum or parabens on your skin, no aerosol bottle to dispose of every month, great to give out as a gift to your loved ones – what’s to not like about it? Thank you Indoindians for the opportunity to reach out and connect with your readers on green issues that affect us all. This series of write ups were for a month – but green living, and green thinking should be a lifelong endeavor. Recycling, reusing, 3R’s – these words didn’t exist 20 years ago. Today every youngster knows it and lives it. Let’s all make a silent pledge to ourselves today to make a conscious effort to live responsibly – with regard for nature, for our planet, our forests, the air we breathe and the water we drink.